How can you trade using the cTrader support & resistance level indicator? 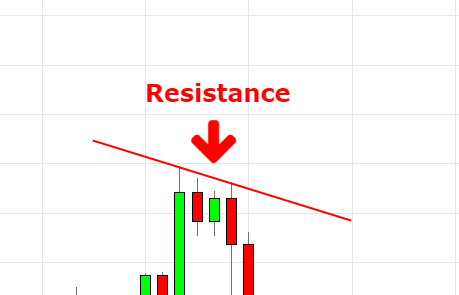 Well, support and resistance is a concept that the movement of the price of an instrument will tend to stop and reverse at certain price levels. These levels are calculated by multiple touches of the price without a breaking through the level. 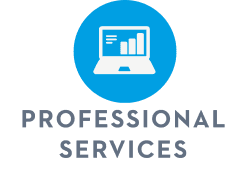 What Are Support & Resistance Levels? Support is a price level where a downtrend can be expected to pause due to a concentration of demand. As the price of a security drops, demand the shares increases, thus forming the support line. Meanwhile, resistance zones arise due to a sell-off when prices increase. Support in the past can mean resistance in the future. The same thing goes for resistance. The Resistance in the past could mean support in the future. 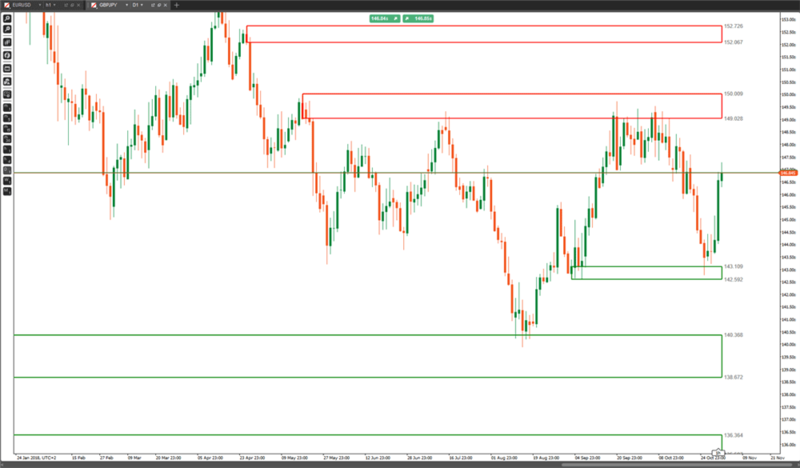 Support and resistance levels are one of the key concepts used by technical analysts and form the basis of a wide variety of technical analysis tools. Both are formed through the actions of the traders in the current market. What Does This Indicator Do? 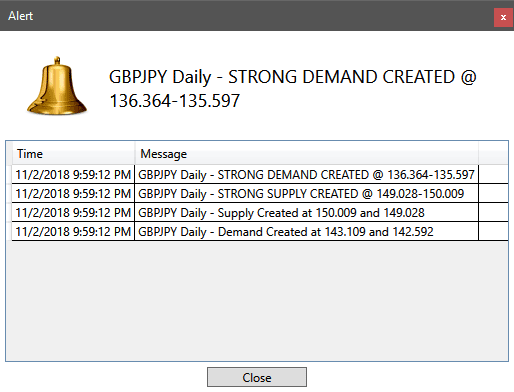 We have converted this indicator from the MT4 trading platform to work on the cTrader platform. 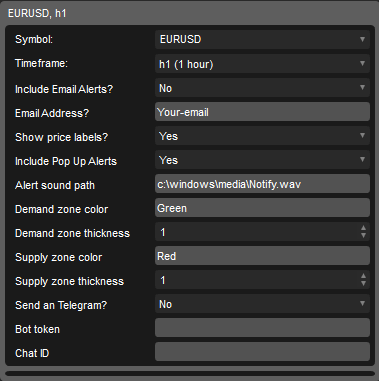 We had to do an extensive cleanup and bug fixing of the code including adding the alert logic for email and telegram, it can display both weak and strong support and resistance levels on your chart in the form of a box, we decided not to shade the boxes so you can see the candlestick price action. This indicator will dynamically add and remove new support and resistance zones as the price action is happening real-time, so you can just leave it running and receive alerts when the price reaches a strong support or resistance zone. 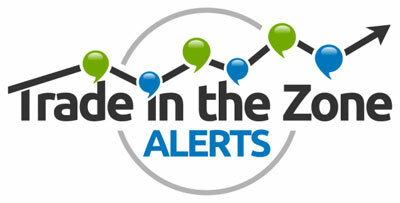 When a zone has been breached it is deemed as no longer a support or resistance level and this zone is automatically removed from the chart. 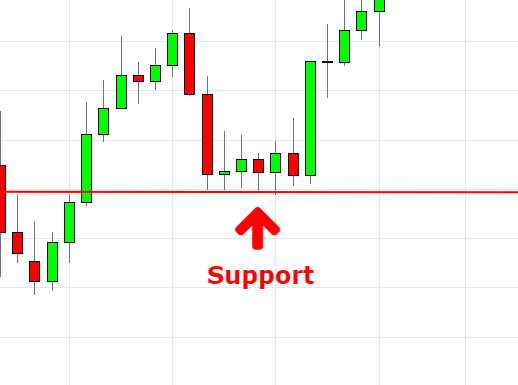 Download this PDF document if you want to learn how to trade support and resistance levels by clicking on the link below. Your adjustable parameters are shown below. The indicator is very good, thank you.